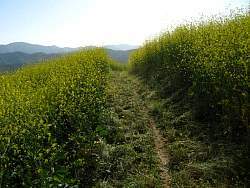 CORBA Mountain Biking Photos. 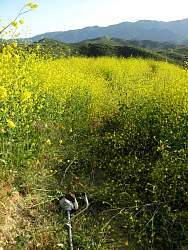 Click on an image to see it full size. 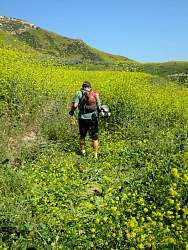 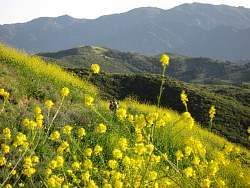 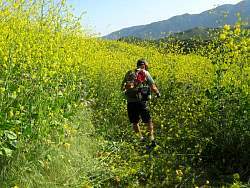 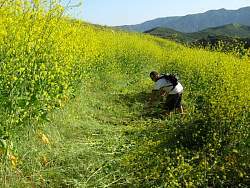 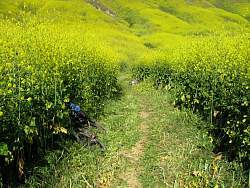 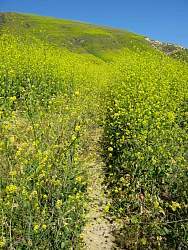 The New Millennium Loop Trail was choked with mustard. 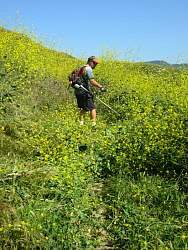 CORBA board member Hans cuts the mustard with a weed whacker. 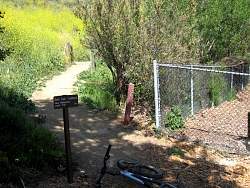 From close up, you can tell where the trail should be, but it's even worse further along. 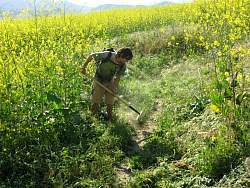 Hans uses his weed whacker like a divining rod to find the trail!